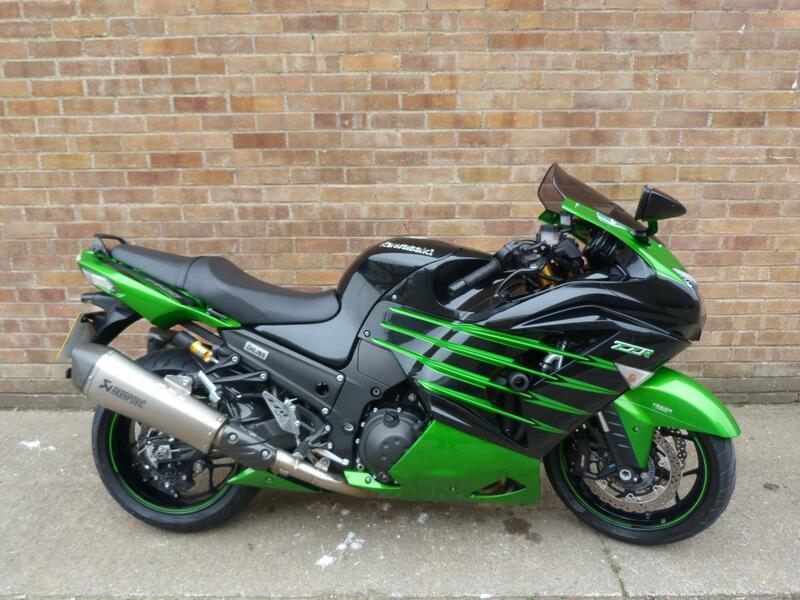 Here for sale is a 2014 14-plate Kawasaki ZZR1400 Performance Edition with 16,947 miles on the clock. This Lovely condition machine has been very well looked after from new and is loaded with bits. The bike is in the best colour scheme and really stands out! It has a Carbon Fibre rear hugger, MRA double bubble screen, R&G crash bungs, alloy heel plates and a carbon look tank protector.